The 'Can We Dance' hitmakers have already recorded a cover version of Carl Douglas' 1974 disco classic 'Kung Fu Fighting' for the film's soundtrack and now the two boys have lent their voices to characters in the upcoming DreamWorks Animation film. James, 21, and Connor, 19, will appear as two geese in a scene alongside Jack Black's much-loved character Po. Both are thrilled to have roles alongside an "incredible cast" and are excited for fans to hear their parts. In a statement, they said: "We had so much fun voicing the roles of the geese in 'Kung Fu Panda 3' and it was such an honour to be part of such an incredible cast. We love 'Kung Fu Panda' and can't wait for everyone to see the film!" 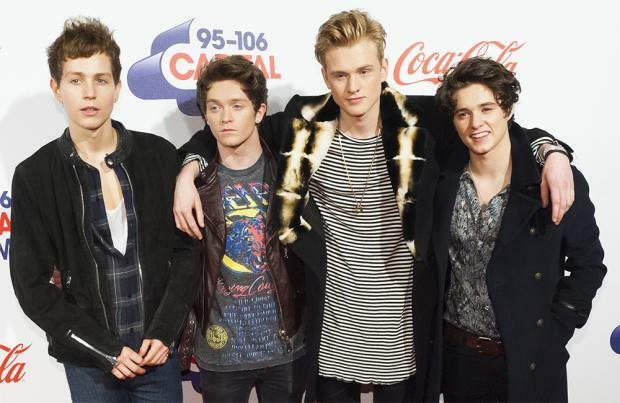 The Vamps - which also includes Bradley Simpson and Tristan Evans - are currently on tour in support of their sophomore LP 'Wake Up' and all took part in making their own take on 'Kung Fu Fighting' and made a Kung Fu Panda-themed music video. The UK version of 'Kung Fu Panda 3' will be in cinemas in the UK and Ireland on March 11.